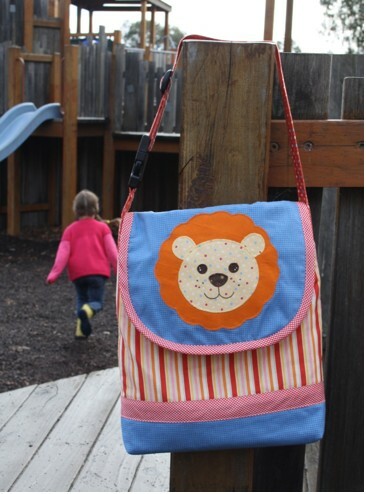 "The Click to Carry bag is a great storage option for kids on the go. 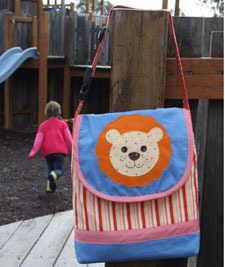 With its cute lion motif it’s sure to be a favourite with kids! "The bag features a strap with both adjustable lengths and a satchel clip that allows the strap to separate. This versatile bag can be attached to the back of a head rest in the car with the strap shortened to carry those bits and pieces children require for a trip. It will keep the bag off the floor and also at a height so that children travelling can reach into during the trip and help themselves to their essentials. 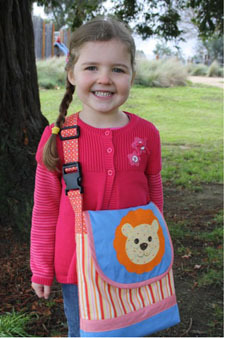 The bag strap can then be lengthened with a slide adjuster to be used as a messenger style bag. The side release buckle lets you clip the bag onto a pram, shopping trolley or onto your own bag for security- keep your kid bits and pieces safe while you are out and about!"